Revented and better than ever! 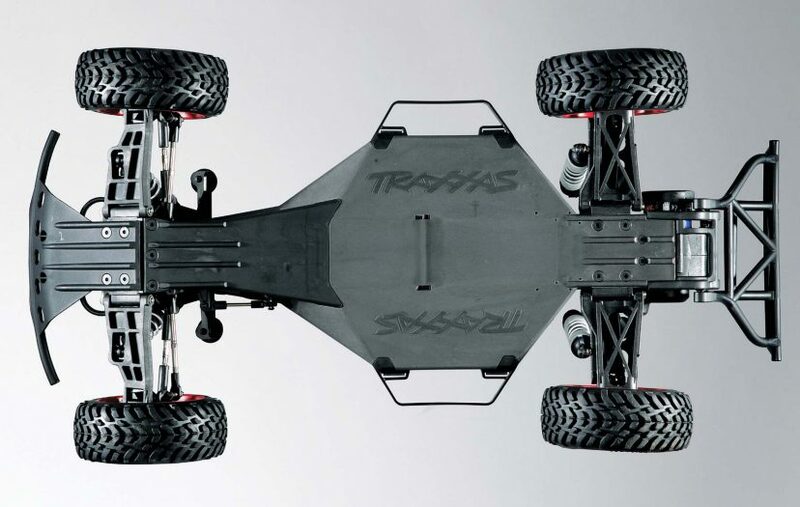 In 2007 I was the lucky guy who got the review the first release of the Traxxas Slash. Way back then it came standard with a 27 MHz radio, brushed 550 sized motor and a battery pack was not included. Boy, have times changed! The newest version of the Slash that was just released comes loaded with goodies that put it several steps ahead of any of its predecessors. 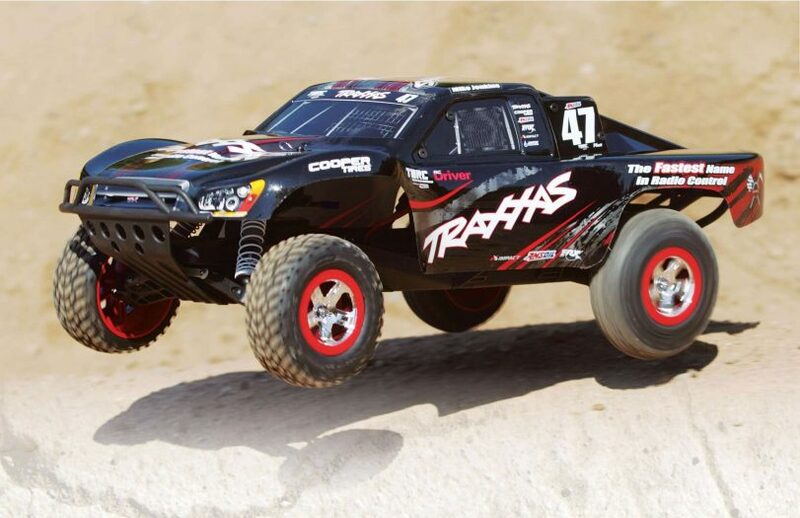 What could take an already awesome Traxxas Slash VXL truck and make it that much better you ask? How about a new LCG (low center of gravity) chassis, 2.4GHz radio system, TSM and OBA? 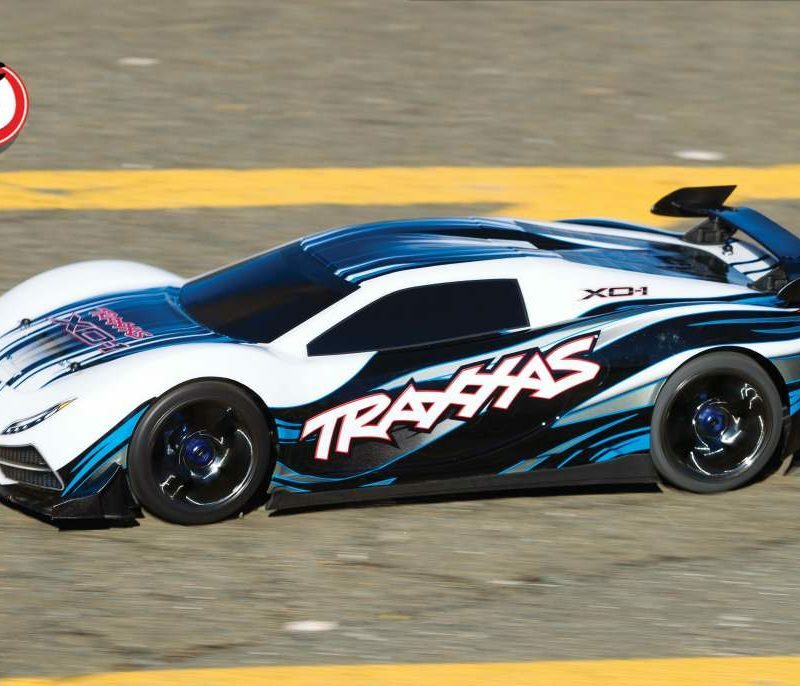 If that has caught your attention like I think it might have read on for more details about the Traxxas Slash VXL with OBA and TSM. Sure, this newest version looks the same at a quick glance, but once the body is off the truth is revealed. I love the inclusion of the LCG chassis (a feature I wish was released on a truck sooner) as it makes for a better handling truck, and TSM works so well, I was amazed with the assistance it provided. 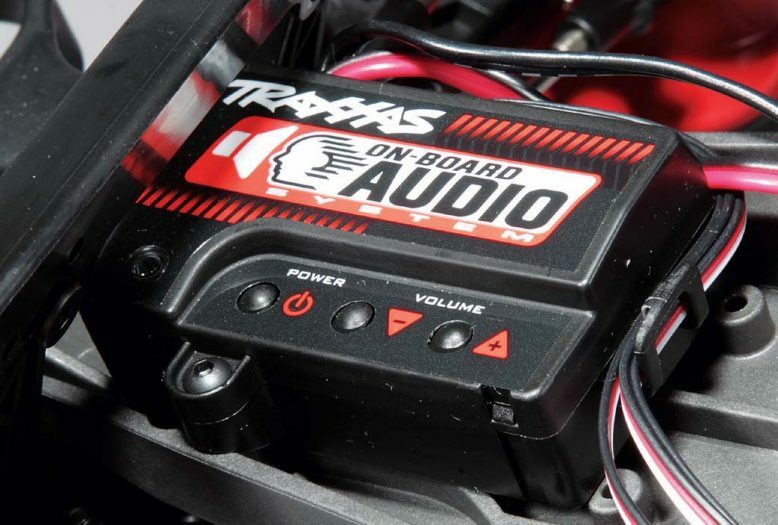 Coupled with the TQi radio system and OBA, Traxxas has reinvented the Slash with smashing success. • Blue Aluminum Rear Hubs, 3652A, $35, Not only are these tough, they look great and while I really like the blue you can also get it in red or green. • Blue Aluminum Steering Blocks, 3636A, $35, One of the very few parts that I have ever had break on my personal Slash, these aluminum upgrades will never fail, even in the most violent crash. • Blue Aluminum Shock Caps, 3767A, $14, In a hard collision the stock plastic caps can pull away from the composite shock bodies. While it is easy to screw them back together the oily mess is no fun to clean up. These aluminum caps are less likely to pull apart from the shock body and they look sharp, too. Super strong composite black suspension an all four corners of the Slash offer multiple shock mounting positions to aid in tuning. The coil- over oil filled shocks stretch upward toward the black composite towers. 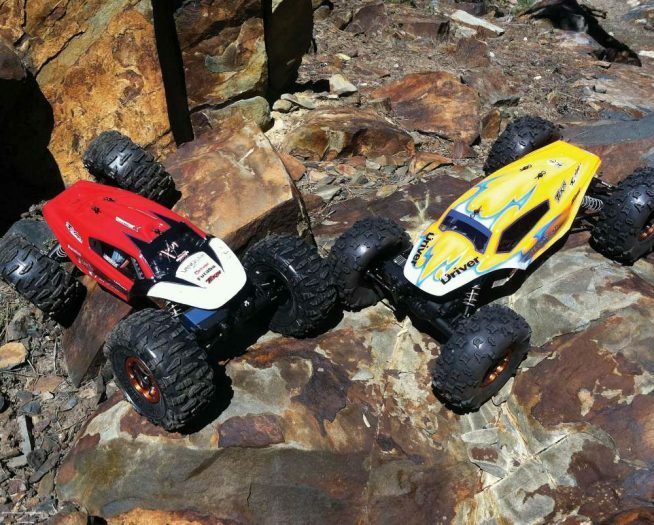 They have gray composite bodies and use white progressive rate springs that help the Slash handle tough off-road terrain with ease. All of the thick turnbuckles feature adjusting knuckles to tune camber and toe and have captured style ball ends that won’t pop off under extreme conditions. The original white plastic dual bellcrank used on so many other releases of the Slash has been replaced with a new version that is now black and is made from a tougher material. 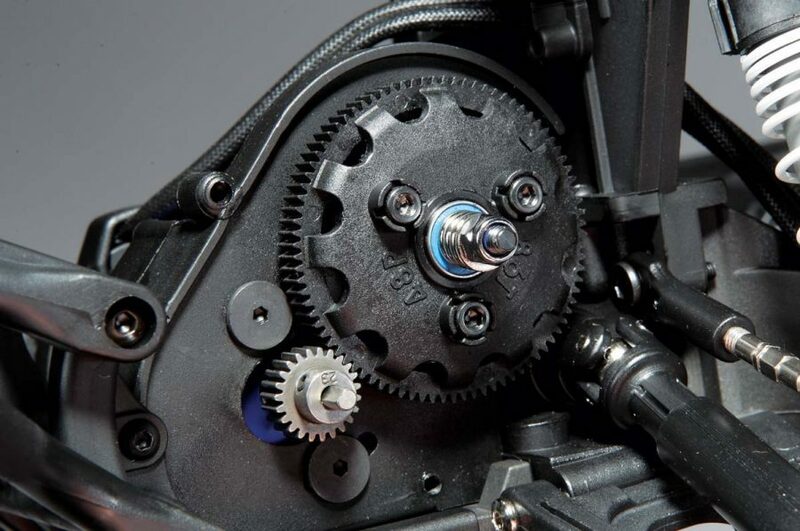 The bellcrank itself features an integrated, adjustable, spring loaded servo saver so it can be set a bit softer and more forgiving for bashers or newbies to protect the steering servo. It can also be set a bit tighter and more responsive for more experienced users. Seeing as the bellcrank nowincorporates a servo saver, the blue waterproof steering servo many of us have become accustomed to no longer features the big white servo saver and has a standard black servo arm. I used to say that the Magnum 727 3-gear transmission that Traxxas uses on the Slash was nearly indestructible. Well, after having eight years of experience with the Slash I’d like to amend that statement and say that it is indestructible. Featuring all 48-pitch gears, it has a composite steel planetary gear differential, and Revo spec Torque Control slipper clutch with 86-tooth spur gear. Heavy-duty, slide-style driveshafts with universal joints at either end transfer power from the gearbox to the wheels. Speaking of the wheels, they mount up to the axles on 12mm hex adapters while serrated lock-nuts keep them in place. On to the power system. A waterproof Velineon VXL-3S speed control is securely mounted to the right-hand side of the chassis. 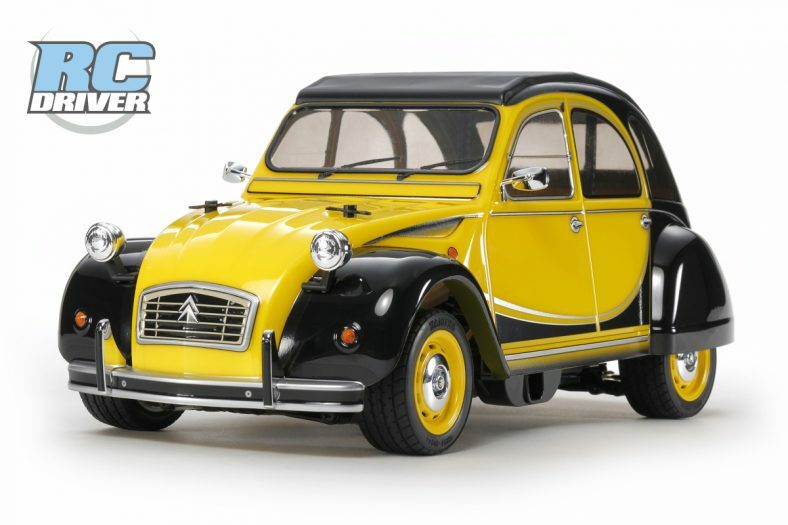 It has three easy-to-set running modes; Sport Mode with full forward, brake and reverse, Race Mode with just full forward and brake, and Training Mode with 50-percent forward, brake and 50-percent reverse. 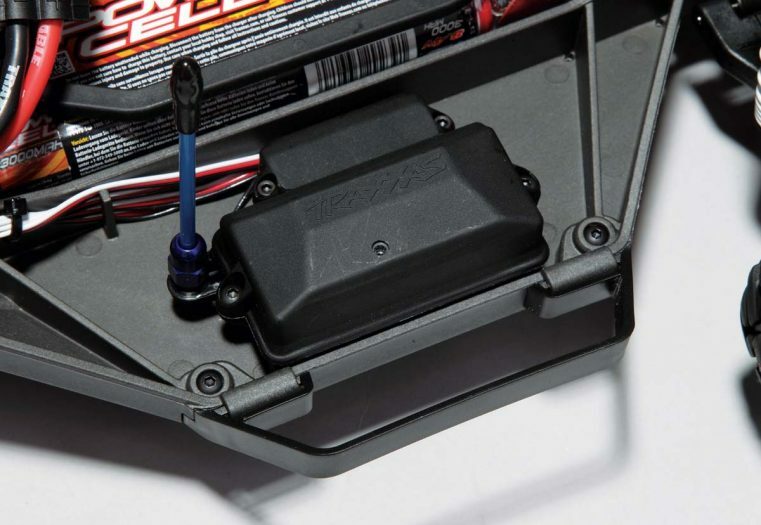 It can be used with both sensors and sensorless motors and has an integrated on/off/ programming switch that won’t accidentally get hit when racing or bashing. The 2-pole Velineon 3500 motor is plenty quick and can help get the Slash up to 35mph with the stock battery and gearing. Should you want to take things up a level or two, simply changing the gear ratio and upgrading the battery pack to a 3S, 11.1V pack will let you rip up and down the street at 60mph! 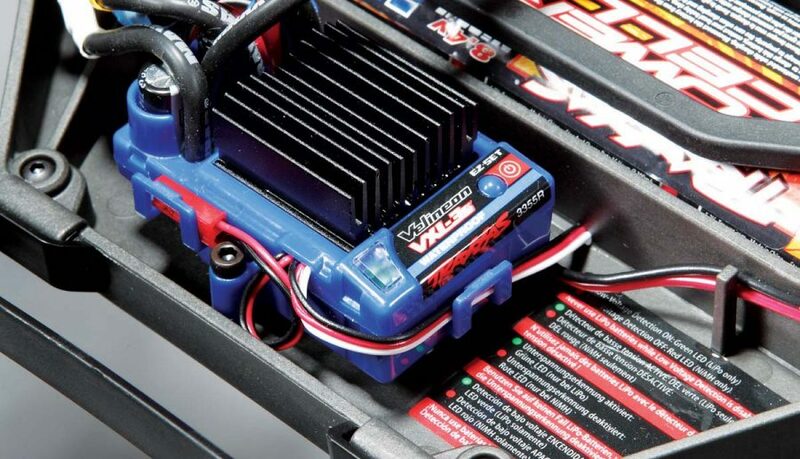 TSM, short for Traxxas Stability Management, helps keep precise control on the Slash VXL by helping to eliminate unwanted sliding and fishtailing. How does it work? The new TQi receiver (part no. 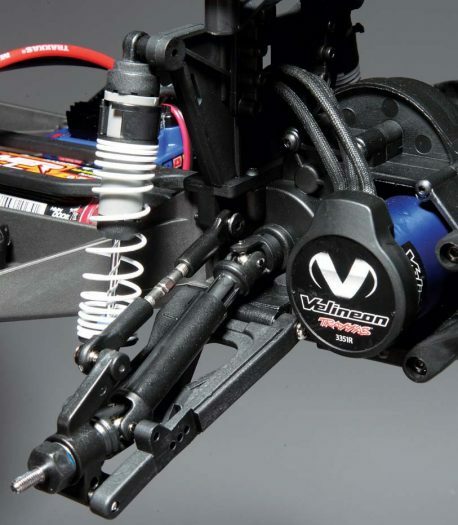 6533) combined with any TQ transmitter with multi-function senses the movement of the Slash VXL and makes subtle steering corrections as needed to help maintain the perfect line. This allows for harder acceleration from a dead stop, while exiting corners and it allows for straight braking. The less traction there is the more TSM will aid and assist. Even better, TSM works in the background without ever impacting acceleration or steering radius so the driver always feels like they have complete control. 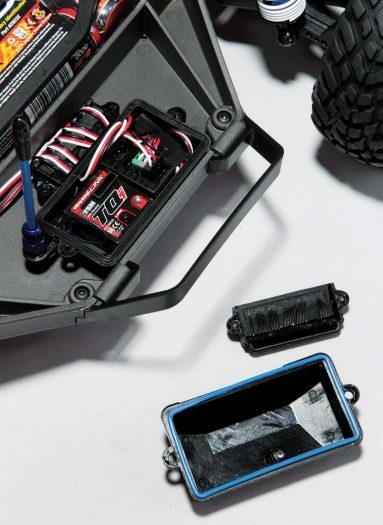 Additionally, when used with the Traxxas Link app, wireless module (sold separately) and a smart phone, even more precise adjustments can be made to the amount of TSM assistance. 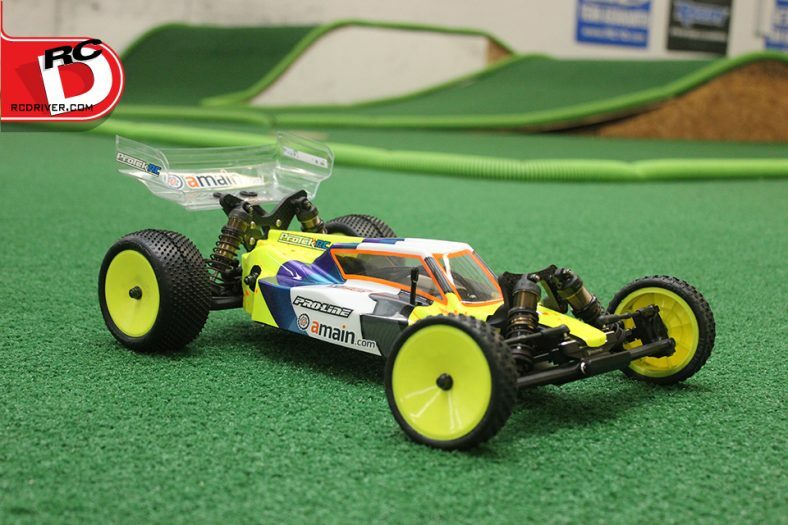 I went to the large off-road track at R/C Madness in Enfield, Connecticut to put the Slash VXL with TSM and OBA through its paces. The Monday that I went was right after a weekend of nitro 1/8 racing and thus the track was not well groomed and was very dry; ideal conditions to see how well TSM would work. I set the truck down at the beginning of the long straightaway, walked up the tall drivers stand and pulled the throttle all the way back. Even with the TSM turned all the way up I was expecting some serious squirreliness and wheel-spin due to the dry track conditions but this was not the case. The truck took off as if on a well-groomed, damp track and never looked back. It tracked extremely straight, with me hardly having to tough the steering wheel, all the way to the first corner. Here, I let off the throttle and turned it with the truck holding the line I anticipated. Through the infield I was fairly conservative for the first few laps but quickly realized I’d be able to push the truck harder and harder as it was very forgiving and extremely stable. If you’ve had the opportunity to drive any of the previous versions of the Slash you should note that this version drives VERY differently. 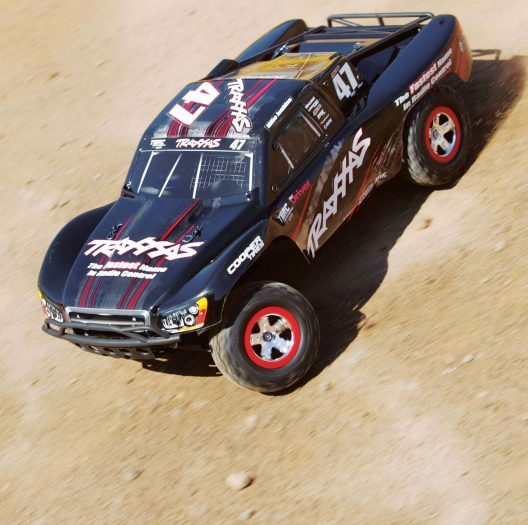 With the new LCG chassis there is little to no body roll so I was able to drive very hard into corners and with the aid of TSM I was able to get back on the throttle as soon as the truck was at the proper orientation while exiting. With the stock, 8.4V NiMH battery the Slash VXL with TSM and OBA was exceptionally quick and could clear just about any jump on the track. I tried to clear the long double a few times without much success so I decided to approach each as if they were singles. When the pack started going soft I headed for the pits and replaced the stock battery for a 5200mAh, 50C 2S New Wave LiPo pack. Back on the track I decided to take a more aggressive approach. With a much heavier throttle finger I drove hard into corners, pulled the throttle all the way back almost immediately when exiting, and took all the jumps at or close to full speed. With the lighter and more powerful New Wave battery I was now able to clear the double, albeit just barely. Feeling confident with my driving ability I decided to turn the fully adjustable TSM down some when I swapped out the battery for my third trip to the track. Boy, oh boy, were things different! The aggressive driving style I had gotten used to for pack two proved to be rather unsuccessful and the front and back end of the truck continually changed places as I tried to accelerate and when cornering. Jumping was also less predictable with the TSM turned off. With it on the Slash VXL with TSM and OBE almost always took to the air with a near level attitude and as straight as an arrow. Now, If I did not hit my approach perfectly the truck took off crooked and would land hard and took some time to settle before I could slowly grab for the throttle again. 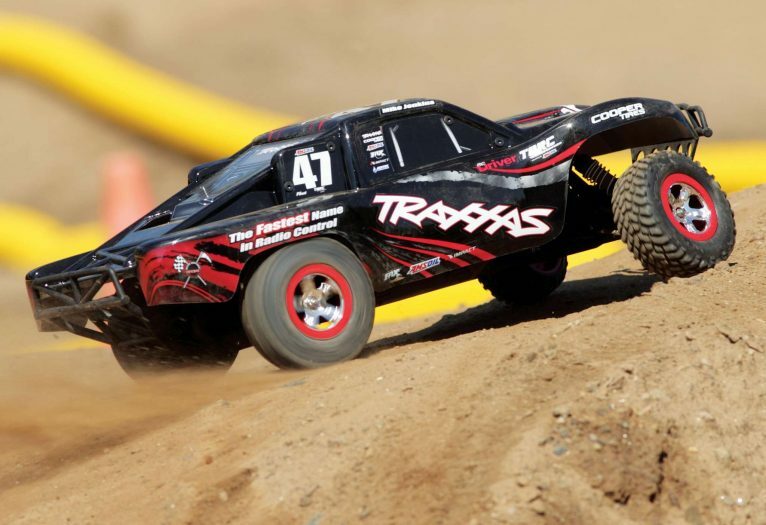 Traxxas is very well known for producing tough vehicles and that holds true here. I ran the Traxxas Slash VXL with TSM and OBA for about 10 battery packs before I sat down to write and in that time I jumped, bashed and crashed the truck countless times. The only issue I encountered was that one of the front shock caps popped off twice. This is an easy fix as nothing really broke (you just have to refill the oil and screw it back together) but the oil that was left behind made quite a mess. What’s in the box? Besides the new and improved Slash and radio you get a battery pack, DC charger, tools, shock pre-load clips, stickers and more. Just grab 4 “AA” batteries for the transmitter and go! The ESC bolts securely to the chassis so it won’t shift or fall out during bashing. Can you hear me now? The On-Board Audio module is mounted right up front on the main portion of the LCG chassis and has a power button so it can be turned off should you not want to use it. Volume buttons adjust how loud the speakers that are secured inside the standard Slash body scream. The speakers mount to the under side of the body and produce incredible sound. 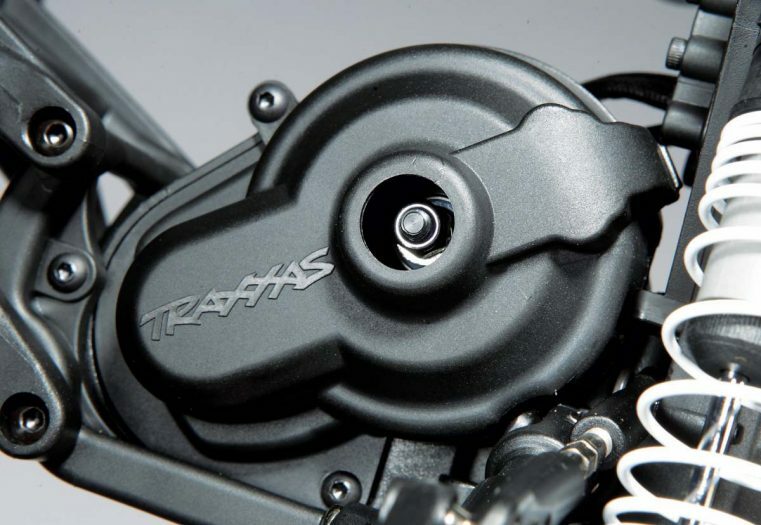 The Revo-Spec Torque-Control slipper clutch is more than up to the task of smoothing out the throttle response and protecting the gears inside the transmission of the Slash. Adjusting the slipper is as easy as simply popping a plug from the gear cover allows access to the adjusting nut. The Velineon brushless motor is a standard feature on this version of the Slash and makes for some seri- ous speed. 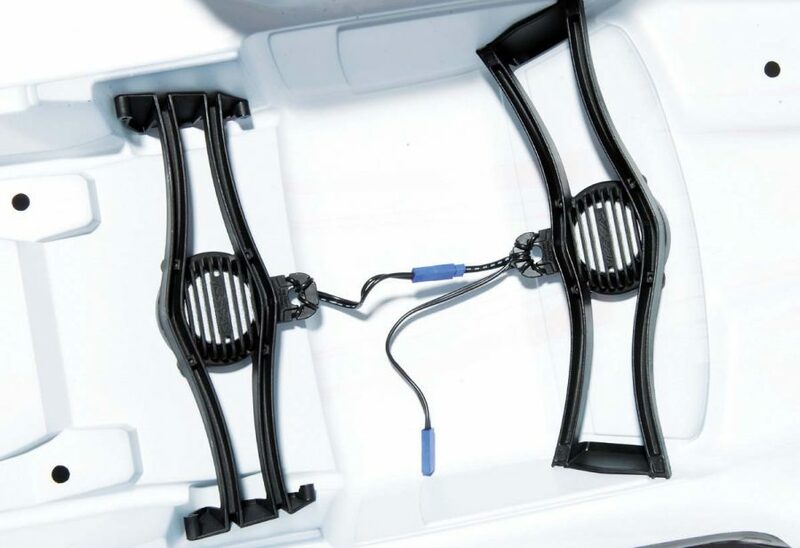 Well proven suspension arms are long and coupled with the oil-filled shocks with progressive rate springs, the Slash is able to make easy work of tough conditions. No trickle charger here! 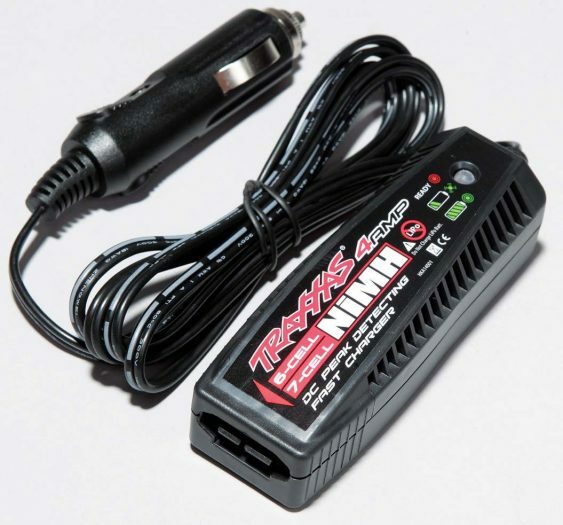 Traxxas has included a quick, 4-amp, 12V DC charger with the Slash to recharge the included 7-cell Power Cell battery in no time. The TQi receiver is well protect- ed in a sealed radio box. The receiver itself has multiple ports for various sensors and teleme- try and is TSM ready to help provide exceptional control. The receiver tucks away in this water resistant receiver box. With the new LCG chassis the servo is now mounted flat and is turned to the side. The dual bellcrank steering linkage incorporates a spring loaded servo saver to protect the gears in the waterproof servo. 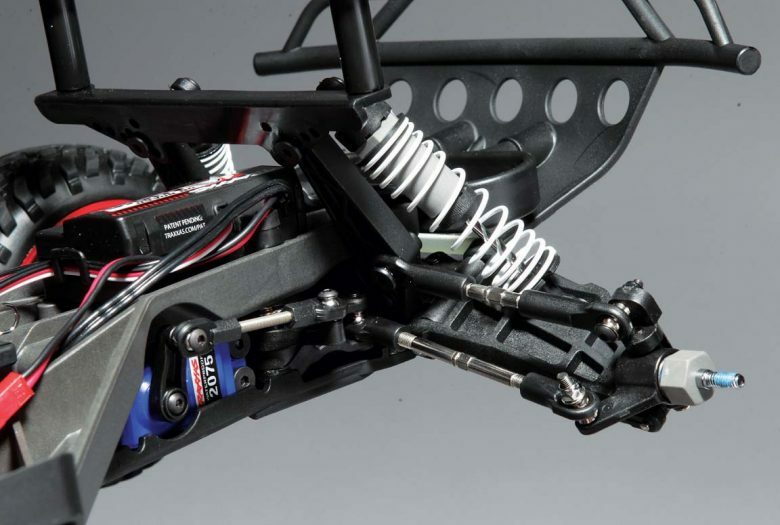 The entire steering set-up is super tough, responsive and adjustable. 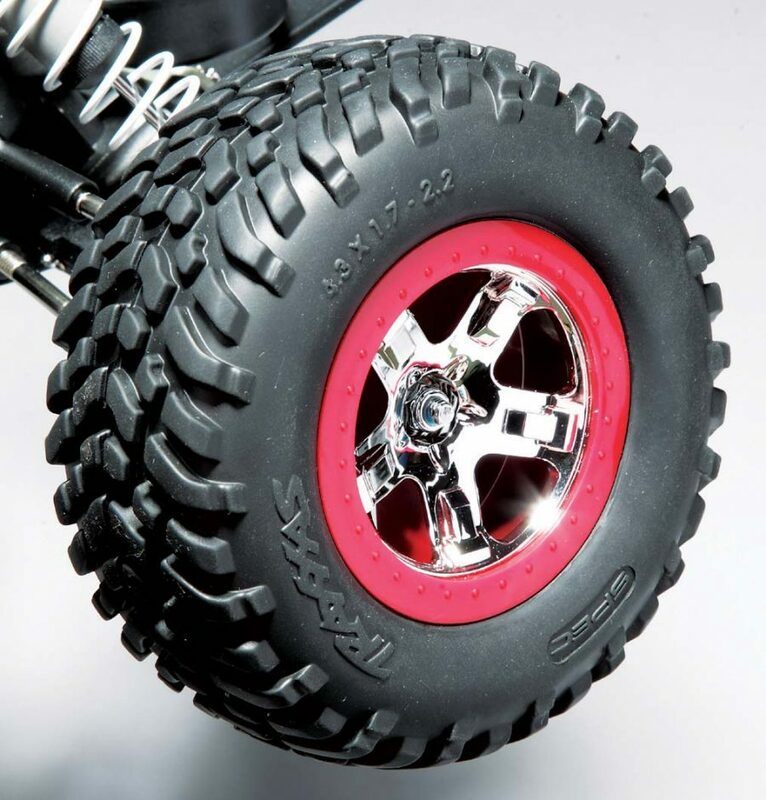 The faux red beadlock on the chrome 5-spoke rim looks great while the stan- dard Traxxas slash tire is always a great choice for all around use. 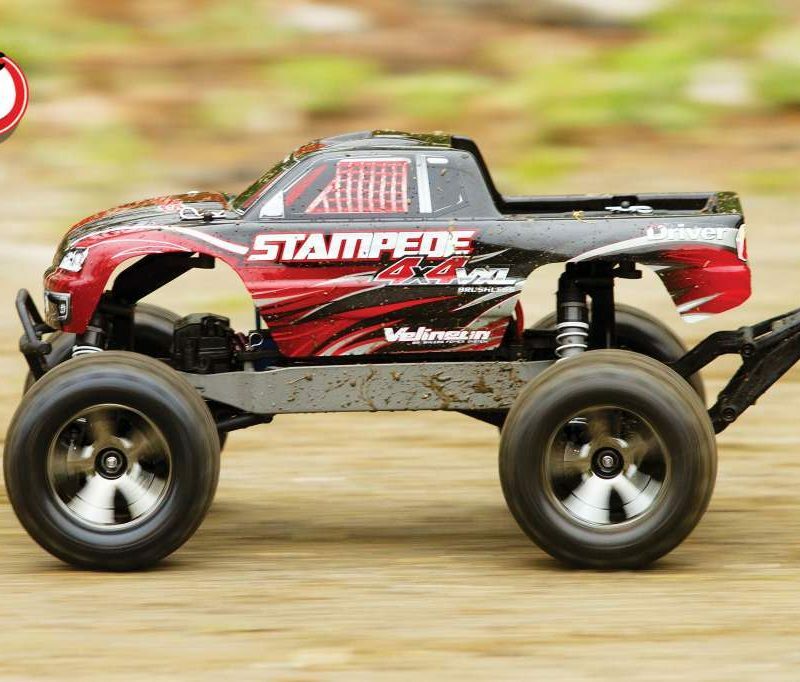 Super durable, crazy fast, extremely easy to control with a sweet sound; these are the characteristics that best describe the 2WD Traxxas Slash VXL with TSM and OBA. I don’t know how many boxes filled with the original Slash ran from hobby shops when it was first released but I am sure it is considered one of the best-selling RC vehicles of all time. 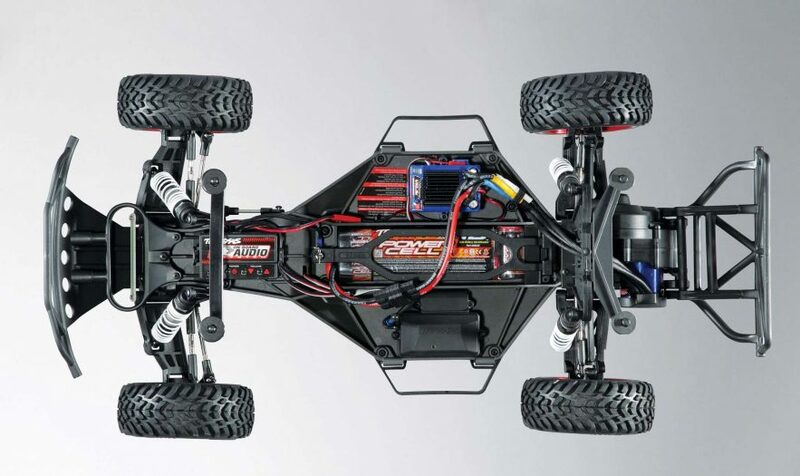 While this version costs more than the original Slash, the additions that Traxxas equipped it with, like the TQi 2.4GHz radio system, TSM, a VXL brushless power system, battery pack and 4-amp DC charger and LCG chassis are more than well worth the price increase. 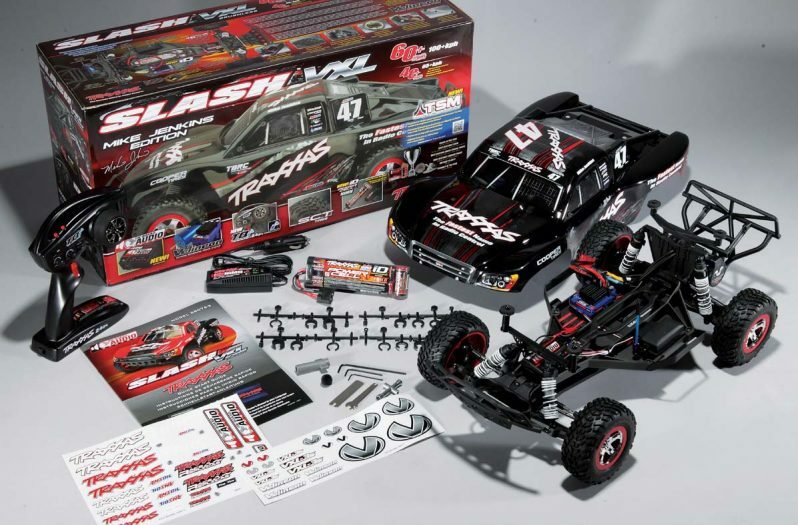 With all of these features on the well-loved Slash heritage, this may be the best ready-to-run vehicle you’ll be able to get your hands on. I have used several Slashes, all 4×4 and cannot say enough good about them. Very durable and fun to drive. They hold the road well and don’t flip very easily. The only negative is that the body design has no fender liners so a lot of sand, mud, or whatever packs quickly into the chassis. After extensive beach running, my unit was overheating. No damage but just caused a delay while I cleaned rinsed out the chassis, which was packed with sand.